Robert Denton Cresap, Student, Fremont Normal School and Business College, Fremont, Nebraska. Many of you know how I enjoy sharing photos I find in antique shops, always hoping to a family member recognizes their loved ones. That has happened in the past, but just recently – after a post of six years – the photo of Robert Denton Cresap is now with his grandson. Ritchey and I found several photographs from Fremont Normal School and Business College located in Nebraska. How did they find their way to an antique shop in Harrodsburg, Kentucky? Mr. Welles, Robert’s grandson, was kind enough to send a few other photographs of his grandfather, along with a bit of information. 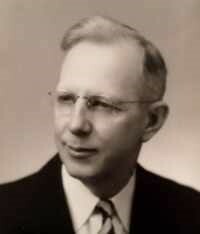 Richard Denton Cresap was born December 15, 1887, to Homer Irwin Cresap and Sarah Ella Denton, in Wichita, Kansas. His father died when he was 7. 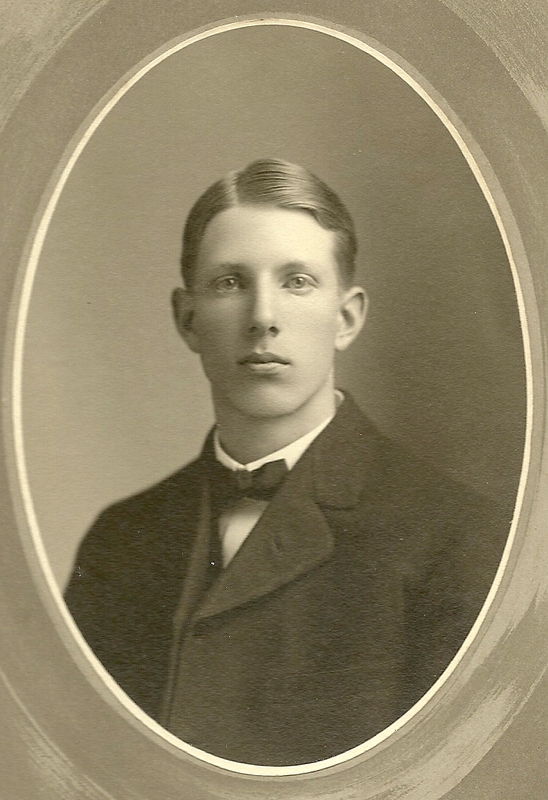 Richard married Maude Mae Axtell in Fremont, Nebraska, in 1911, and a year later a son, Dean R. Cresap was born. In 1919 another child, Margaret Jean Cresap was born in Chadron, Nebraska, Mr. Welles’ mother. I was told that while working for the railroad as a telegrapher the family moved to Addison, Illinois, then to Rapid City, S.D. They moved to Hay Springs, Nebraska, and finally to Omaha. Maude died in 1949. Robert married Helen Holmes the next November. Robert and Helen lived in Omaha until his death on February 19, 1974. He is buried with Maude in Forest Lawn Cemetery in Omaha, Nebraska. Some of Mr. Welles’ mother’s most cherished memories were when her father took her and her brother to cultural events when they lived in the Chicago area. One of the interesting facts I found in newspaper articles was that at the time of his marriage to Maude Axtell he was superintendent of schools at Edison. In 1937 Robert was transferred back to Omaha from Rapid City, S.D., to fill the promotion of train dispatcher for the Union Pacific, his former position being that of station agent. 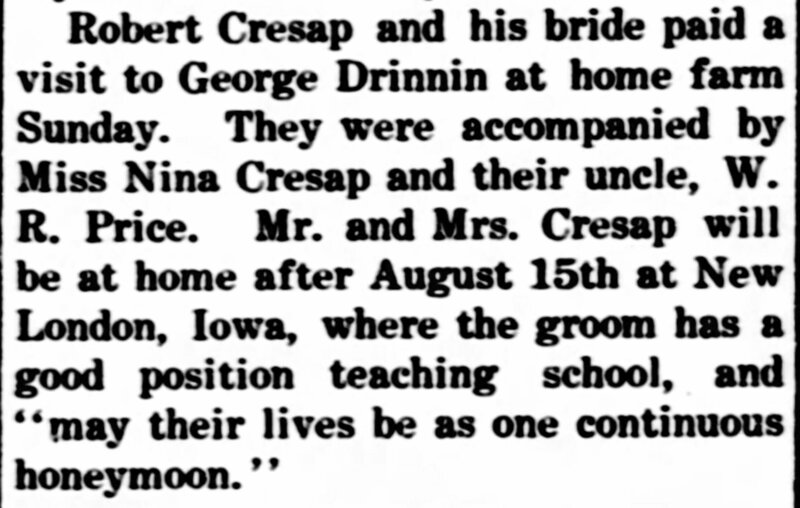 Robert Denton Cresap was a fellow genealogist! 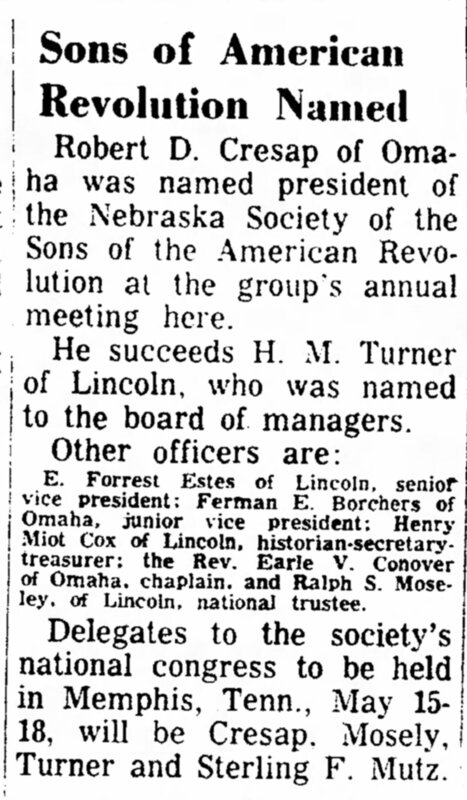 In 1960 he was named president of the Nebraska Society of the Sons of the American Revolution. He is descended from Col. Thomas Cresap, 1792-1788, who married Hannah Johnston. He was a member of the Committee of Safety, organizer and captain of the Sons of Liberty and an active patriot in Frederick County, Maryland. So happy this photo now rests in good hands. What a wonderful ending. I am always sad when I see old photos for sale. Thank you for not only the photograph, but for the additional research and information about R.D.! It is very interesting to learn more about this good man’s life. I’m grateful that he’s my grandfather. Robert Denton Cresap is my maternal great grandfather and I had a picture of Robert Denton Cresap’s mother from my aunt Maudie and his grandfather, Joseph Cresap on ancestry.com. 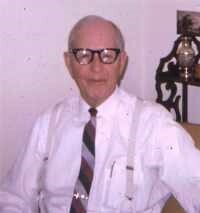 Wish you have an old picture of his father, Homer Cresap and my grandmother’s brother Dean Cresap. wow. How exciting. I feel same way about old photos. I had one of my mystery photos solved as one of my distant cousins had the same photo attached to a person in their family tree and I remember the distinguished lady by face recognition, now I know who she is. yeah. happy new year 2019 and thanks always for sharing. 🙂 brian w.